Dr. Roberts received his D.D.S. degree from Creighton University in 1967. In 1969, a Ph.D. in Anatomy (minor in molecular biology) was conferred at the University of Utah, School of Medicine. Research training was in mineralized tissue morphology, quantitative cell kinetics and histomorphometry of bone. Following two years active duty in the U.S. Navy with a tour in Viet Nam, Dr. Roberts completed a three year residency in academic orthodontics at the University of Connecticut in 1974. Clinical training emphasized fundamental principles of biomechanics and bone physiology. In 1996, a Docteur Honoris Causa (honorary doctorate in medicine) was awarded by the Faculty of Medicine, University of Lille II, Lille, France. From 1974-88, Dr. Roberts served in the Departments of Anatomy and Orthodontics, at University of the Pacific School of Dentistry, San Francisco. He was Professor of Orthodontics, Director of Graduate Orthodontics Research, and Director of the Pacific Bone Research Laboratory. From 1988-97, Dr. Roberts was Professor and Chairman of the Department of Orthodontics (Oral Facial Development) at Indiana University School of Dentistry (IUSD). Since 1997, he has served as the Head of the Orthodontics Division of the Department of Oral Facial Development at Indiana University School of Dentistry. From 1988 to 2008, Dr. Roberts served as Director of the Graduate Orthodontics Program at IUSD. He was selected for the endowed Jarabak Chair in Orthodontics at Indiana University during his tenure. 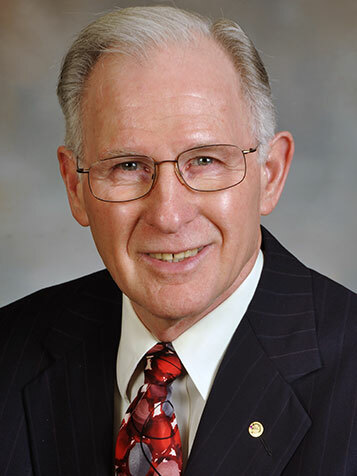 Dr. Roberts currently assists the department as Professor Emeritus. Throughout his career, Dr. Roberts has maintained a part-time private practice with an emphasis on implant-anchored orthodontics for management of complex partially edentulous malocclusions. He is a Diplomate of the American Board of Orthodontists, Member of the Edward H. Angle Society (Midwest Component), and holds fellowships in both the International College and American College of Dentists.